We finally got rain. Hallelujah! And more was promised, but it does not seem to be arriving, at least not in the amounts I was hoping for. The lesson seems to be that we need to be always prepared for flood or drought. The question is how do we do that. Rain barrels, rain gardens and raised beds can help us to moderate, though not eliminate, both of those problems. Rain barrels that collect the rain from our roof for use during a dry period have become more popular as we face these weather extremes. What quickly becomes apparent to people after they get their first rain barrel operational is that enormous amounts of rain come off our roofs, and a 50 gallon barrel fills up really fast. Many people have taken to adding a second or even a third rain barrel to capture more of that valuable water. A friend of mine in Houston, Texas has even set up a 200 gallon plastic cistern to catch her rain water. Capturing rain for use during dry periods is getting easier and easier. A rain barrel can give us water for our garden wherever it is. A rain garden can be planted ten feet away from a roofline specifically to make use of the hundreds of gallons of water that come sheeting off a roof during a generous rainfall. They can also be sited where a slope leads water to a street or other undesirable location. The Greenfield Public Library has built a rain garden near their back door to capture runoff from sloping paths. The concept of a rain garden is fairly simple. It requires a depression in the soil, four feet or more deep, and as wide and long as you think you need. If you have a long roof, and room on that side of your house, you might want to make the garden as long as the roof and perhaps six feet or more wide. The downloadable and well illustrated Vermont Rain Garden Manual (http://vacd.org/winooski/RGManual7.1.09FINAL.pdf gives specific instructions for calculating the appropriate size, as well as practical advice about locating and maintaining a rain garden. The depression will first be filled with a layer of gravel and then with layers of soil and compost. These layers do not bring the level to where it was before. A depression must remain to allow rain to collect and pool. Now you have a site for a beautiful garden of water tolerant plants whether your site is shady or sunny. There are perennials like asters, astilbe, echinacea, goatsbeard, Joe Pye weed, bee balm, coral bells, and daylilies, but there are also shrubs like various small willows, yellow or red twig dogwood, viburnams, and elderberry that will thrive in a rain garden and attract birds and butterflies as well. Ornamental grasses can have a place in the rain garden, switch grass, feather reed grass and others. It is not hard to find over a hundred plants that are suitable for a rain garden. I worried about mosquitoes when I first learned about rain gardens, but mosquitoes need 7-14 days of standing water to find the water and lay their eggs. The water in a rain garden will usually be absorbed within 24 hours, or 48 hours at the most. A rain garden will give you a beautiful garden bed, and will keep all that water on your site. This is not only good for you, it is good for your town because it will keep excessive runoff out of town sewers, and thus out of our waterways. Storm water runoff pollutants typically include sediment; bacteria from animal waste; and oil, grease, and heavy metals from cars. We do not want that dirty water fouling our streams and rivers. Rain gardens are such an efficient way of managing storm water run off that more and more towns are inaugurating programs to install rain gardens on town properties and in parking lots. 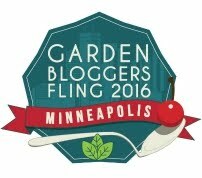 Finally, I want to mention raised beds for the garden. Raised beds seem to be quite fashionable right now and almost every garden supplier can offer kits or instructions on building raised beds out of lumber. The benefits of these constructions is that they can be laid out on your site and filled with good soil and compost and be ready for planting quickly. I would add a caveat. If these beds are set up on a grassy area, I would mow as low as possible and then lay down a couple of layers of cardboard to kill weeds before adding good soil and planting. However, raised beds can also be created simply by removing some of the soil from paths between beds and mounding it on the bed. Adding compost every season will also help raise the level of the soil and keep it high over time. Raised beds drain better so plant roots don’t get waterlogged, but they also allow that moisture to be absorbed and kept on the site. Keeping as much rain on our site as possible makes it easier for plants to come through dry periods. Of course, with the possibility of real drought, we might also want to consider an ornamental bed filled with beautiful drought resistant plants. That is a thought for another day. 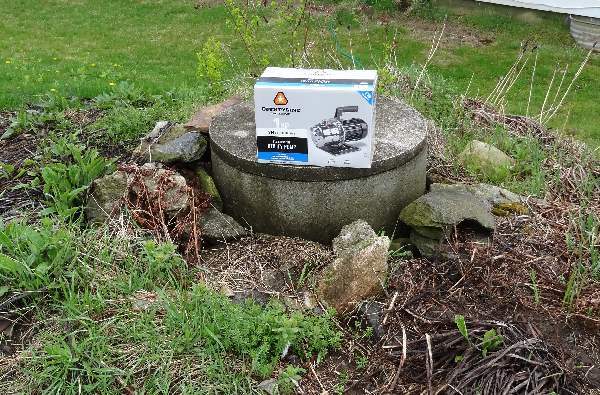 This is my plan for using on site water – our old dug well ( a marvel of engineering) and a new pump. I will be able to use this water for irrigation when necessary and not deplete water in the new drilled well. I have several raised beds. Two of them I built so I could plant tulips without messing up the tree roots, etc. The others were a way of avoiding the work of digging up turf. All have done well. I’ve wondered if raised beds help prevent water runoff or not, or if they really make no differenfe. I also read your previous articles on the rain barrels, but because in this part of the world, they are non-existent i am thinking of building cement tanks for storing the roof run-off during the rainy season. However, it seem to entail many things and funds too, and labor in our place is difficult. I am fascinated by a seminar of an Indian scientist with complete tables already formulated from the area of the roof and the annual rainfall and the tanks normally built under their houses, already calculated. This is just a dream for me at the moment. Jason- Hmmmmm. Interesting question. I don’t see why a raised bed would help prevent runoff more than any other garden though, except maybe for absorbing a little more rain. Andrea – I am unfamiliar with your climate so I don’t know how great is the need for rain barrels. From my daughter’s stay in Kenya I do know that building even a residential cement tank is a big deal.